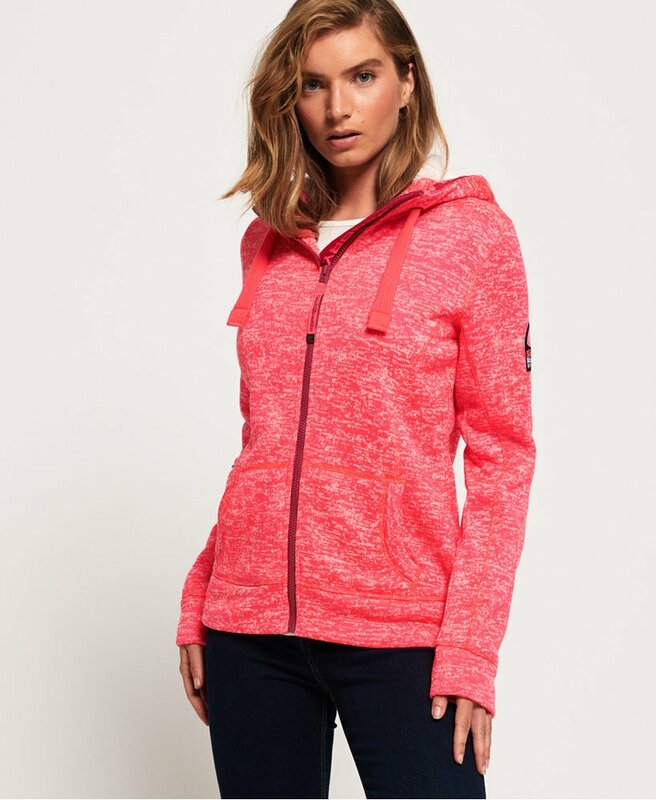 Superdry women’s Storm colour pop zip hoodie. Inspired by mountaineering wear, this zip through hoodie features a drawstring hood, two front pockets and thick ribbed cuffs and hem. The hoodie has a zip fastening and is finished with an embroidered logo on the shoulder and a Superdry Mountain logo patch on the sleeve.